Now, I’m hit or miss with these guys (but mostly hit). Movies like Superbad, Knocked Up, Tropic Thunder… I love those films. 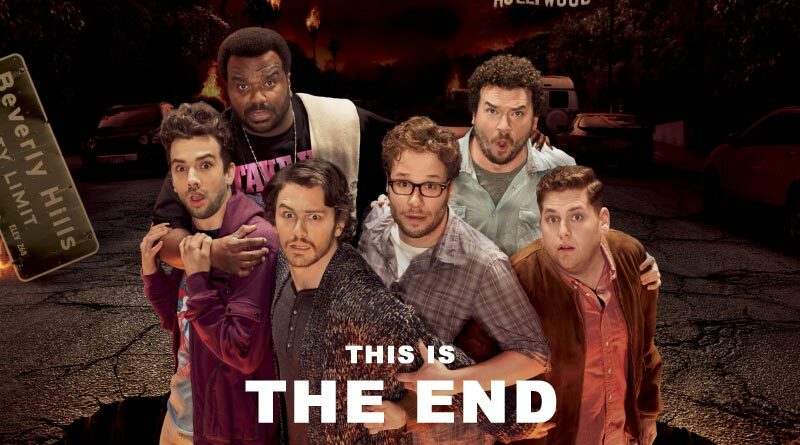 So when I saw the first trailer for This is the End, I was interested. The gist is that these guys all play themselves. Jay Baruchel (How to Train Your Dragon) visits Seth Rogen for the weekend in Los Angeles. Turns out there’s a crazy party at James Franco’s house, so they go to meet up with the old gang. Well, soon after, the apocalypse starts happening, so we follow these comedians as they try to survive. It’s an interesting premise and gets bonus points for creativity. This movie starts off knowing exactly what it is. We get intense debates over meaningless things and it’s hilarious. It’s what comedians like Rogen do best. Baruchel is really the main character though, as we follow him most of the story. He’s likeable and witty and pairs perfectly with these other comedic forces of nature. At Franco’s party, we see a whole onslaught of comedy cameos from everyone that’s ever been in a movie with any of these guys. You have to wonder if celebrities really have parties like the one here. It was fun. And then about 30 minutes in, the apocalypse happens. This movie goes from your standard R-rated comedy to something refreshingly different. It’s a survival movie and it’s also a mystery, as it isn’t revealed until late in the film what’s actually happening. Is it a biblical end of days? Is it a zombie apocalypse? Is it an alien invasion? Our celebrities are barricaded inside, so we only hear the disaster for a majority of the film, which works to its advantage. Once you do discover what’s happening, the movie’s scope opens up to an immense degree. The effects are mostly top notch, though there were a few “Was that necessary?” moments that took away some credibility (you’ll know it when you see it). I applaud this movie for trying something different. 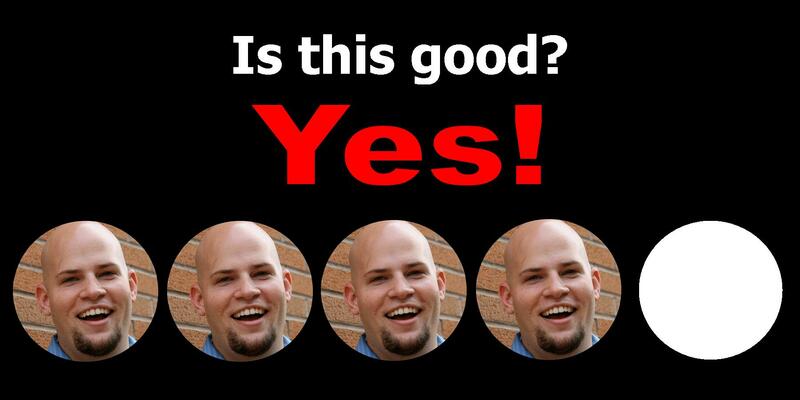 After just watching The Internship (review here), this was a nice change. It didn’t have the same amount of laughs that Vaughn and Wilson provided, but the story was much more unique. It served as both a parody of Hollywood culture and a disaster survivor film (and mostly succeeded as both). As I just said, it didn’t pack as much of a comedic punch as I would’ve expected. It was good, but more action-driven than I was expecting. And when it went for the big laughs, it went for the taboo rated-R topics, which makes sense given these comedians. Not always my cup of tea though, as some of these jokes went over the top and into the realm of making me uncomfortable. Also I feel like some of the parody of the Hollywood elite went too far, such as the use of Michael Cera (America’s boy next door) and made him over the top ridiculous. It was funny for a few bits, but quickly outstayed its welcome. This ensemble movie walked a fine line between comedy and action and mostly nailed it. It’s a definite niche film and will likely gain a cult favorite status, but might alienate other viewers by its non-apologetic style of humor and overuse of over-the-top gags. Baruchel is a likeable lead and it’s nice to see him have screentime over the likes of Jonah Hill and Seth Rogen. Not the funniest movie out there right now, but some of you might really enjoy it. I’m giving it a 4/5 but it’s quite a divisive film and you might completely disagree. This entry was posted in Movies and tagged adam ryen daniels, apocalypse, craig robinson, danny mcbride, emma watson, i am your target demographic, james franco, jay baruchel, jonah hill, michael cera, movie review, rihanna, seth rogen, this is the end. Bookmark the permalink.